Home is a dream of a person that shows the quantity of efforts, sacrifices luxuries and above all gathering funds little by little to afford one’s dream. Home is one of the things that everyone one wants to own. Home is a shelter to person where he rests and feels comfortable. Many banks providing home loans whether commercial banks or financial institutions to the people who want to had a home. The housing sector plays an important role in the economic development of the country. My project title is “COMPARATIVE STUDY OF HOME LOAN AND PERSONAL LOAN OF ICICI BANK WITH SBI & OTHER BANKS”.
. I selected this topic because The Indian housing finance industry & personal loan has grown by leaps and bound in few years. Total home loans disbursements by banks have raised which witness’s phenomenal growth from last 5 years. 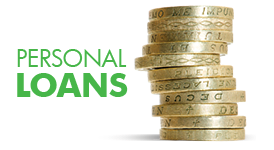 There is greater number of borrowers of home & personal loans. So by this study we can find out satisfaction level of customers and problems faced by them in obtaining home loans & personal loans. • To make comparative study of Disbursement of home loans & personal loans by commercial banks. • To study the satisfaction level of customers about home loans & personal loans. • To study the problems faced by customers in obtaining the home loans & personal loans. In the research methodology I had taken primary data. In the primary data I had make a questionnaire to check the satisfaction level of customers about home loans & personal loans. For the first objective I had collected the information about the number of account holders of specified banks, no of disbursement of home loans and recovery of these loans.